Made exclusively for the Steez 30th issue release. 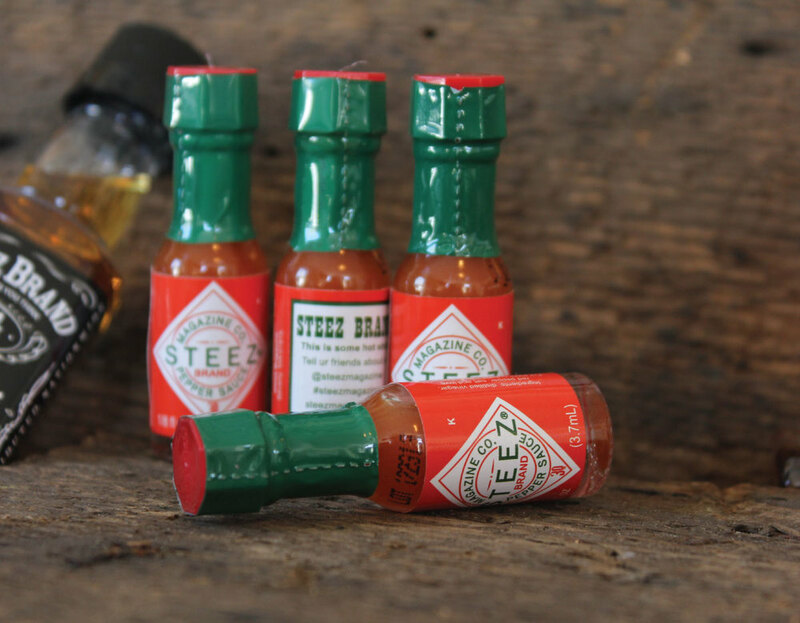 Steez Hot Pepper Sauce were custom labeled (Tabasco) sauce given as party favors to anyone in attendance during the 30th issue release. If you got one, you were lucky.